Overflight rights through the Caucasus to Central Asia and Afghanistan are vital components of the ongoing military effort there by both U.S. and North Atlantic Treaty Organization (NATO) forces. Therefore the security dynamics in each of these areas are of heightened importance to U.S. policy. But the Transcaucasus is a region of multiple conflicts and fault-lines. Three of the four so-called "frozen conflicts" in the former Soviet Union are to be found there and are not as frozen as they may look. Indeed, as multiple recent crises show, Russo-Georgian tensions connected with South Ossetia and Abkhazia — two of the frozen conflicts — could erupt into open violence at any time. For these reasons, this monograph by Dr. Svante Cornell of the Central Asia Caucasus Institute of Johns Hopkins University is exceptionally timely. Presented as part of the Strategic Studies Institute conference cosponsored with the University of Washington's Ellison Center for Russian, East European, and Central Asian Studies; the Pacific Northwest Center for Global Security; and the Institute for Global and Regional Security Studies in April 2006, this monograph outlines the possibilities for conflict in the region and the qualities that make it a strategically important one, not only for Washington and Moscow, but also increasingly for Europe. Since its independence, Georgia has been the most vocally independent-minded country in the former Soviet Union. Russia countered Georgia's independence by strong support for secessionist minorities such as those in Abkhazia and south Ossetia. Since President Vladimir Putin's coming to power, Russian pressure on Georgia to reverse its pro-Western course has grown measurably. 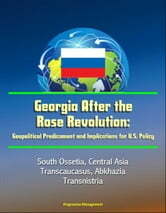 Following the 2003 Rose Revolution in Georgia, relations with Russia turned sour as the new government proved both democratic and single-mindedly focused on rebuilding the Georgian state, resolving the secessionist conflicts, and seeking NATO membership—all anathema to Moscow. The security and success of Georgia is very important to Western interests in general and to those of the United States in particular. 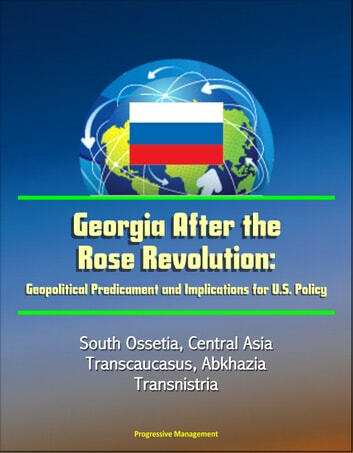 Beyond the hope that Georgia represents for successful state-building and democratic development in both the former Soviet Union and the wider Middle East, this country is a key strategic pivot for the transportation of Eurasia's energy resources, as well as for western access to Central Asia and Afghanistan. Moscow is moving toward a creeping annexation of sovereign Georgian territory, and in the process is undermining confidence-building between Georgia and its secessionist minorities and increasing the danger of a military flare-up. Beyond this, Moscow has tried to squeeze Georgia's economy by manipulating energy supplies, instigating a wholesale trade and transport embargo, and deporting ethnic Georgians from Russia. These measures distract Georgia from its reform process, though Russia so far has failed to achieve its purposes.